Have you been shopping yet for your Fabulous New Fall Fashions? Do you know what the Fall trend colors are for this season? Would you like to know how to coordinate them with other things in your wardrobe? Here are some tips to help you incorporate new fall colors and trends with the items you may already own. 1. Evaluate your current wardrobe: This should always be your first step. Try on all your clothes from last season. Ask yourself; does it still fit me, is it still in style, if I were shopping today would I buy it, and have I worn it in the last 12 months. 2. Create outfits with items you own: After you’ve eliminated the things you’re not keeping then begin building your fall outfits from the items that are left. Don’t worry if you are missing something to complete the outfit. 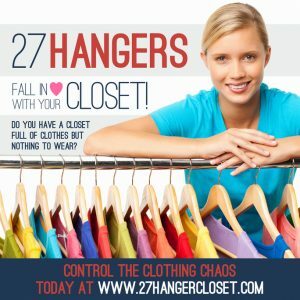 Take pictures of the outfits, print them out, and put them in a photo album or store them in a group on Pinterest or Face Book.This will help you when you are running short of time. 3. Make a shopping list: On your shopping list put all the missing items that you need to complete your Fall wardrobe. Include several new trends into your wardrobe capsule. Try adding accessories that add pattern and texture to your look. Check out http://www.pantone.com/fashion-color-report-fall–2016 to add a new variety of colors to your style. 4. Update your accessories: Once your outfits are put together then evaluate your accessories such as jewelry, scarves, purses, shoes, and makeup colors. Makeup colors are an important one to check because it is usually overlooked. You want to ensure that you are wearing the best colors for your skin tone, eye color, and hair color. Accessories can be the key to bringing an outfit together! 5. Have fun with your style: Allow yourself the space to be creative with your style. Look at different fashion magazine to discover what you like and then try it. If it doesn’t work for you that’s okay. Simply trying a new color can often increase your confidence and help you to feel great. Remember to evaluate what you own, create outfits from what you have, make a shopping list of missing items, update your accessories including makeup colors, and last but not least have FUN creating your style! If you have questions leave a comment here and I will be in touch with you! Great tips! Sure helps with the overload when looking at everything!